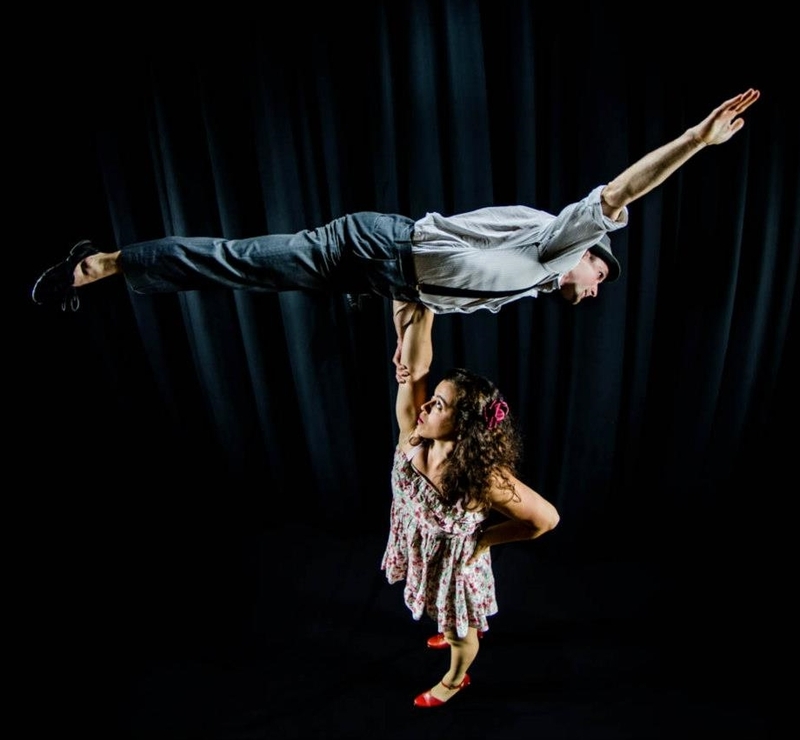 Conundrum Artistic Director Terry Crane and Company Member Erica Rubinstein, two halves of the charming and talented partner acrobatics duo Retro Verso, embark on a summer tour full of fun, adventure and jaw-dropping acrobatic and hand to hand feats with Flynn Creek Circus. The duo joins a global cast that includes the Bogino Family, world famous jugglers from Italy, as well as the precision daring of the San Francisco-based Acrosanct acrobats. Beginning in June Flynn Creek’s old world bigtop tent makes stops in nine Northern Californian cities including Mendocino, Santa Rosa, Calistoga, and Gilroy. For a full schedule and tickets visit Flynn Creek Circus.